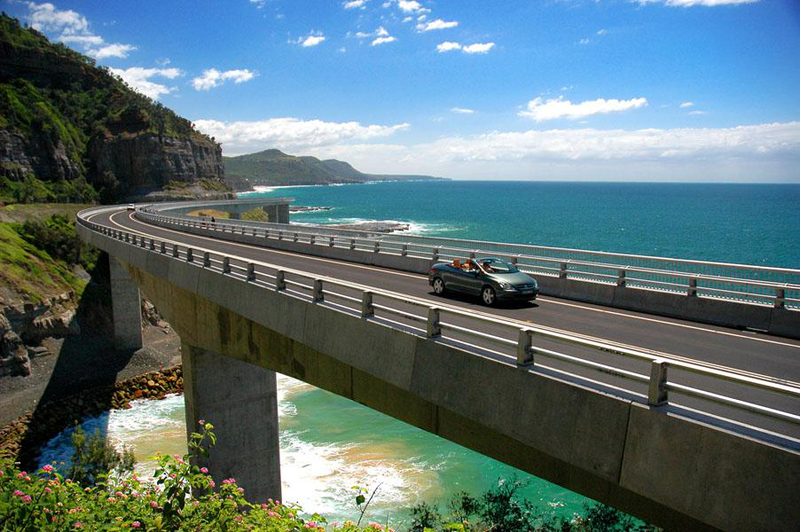 If you’re thinking about visiting Australia, you’ll hardly be able to find a better way than organising a road trip. There’s no better way to enjoy all the beautiful landscape and everything this marvellous country has to offer. As more and more breathtaking sceneries appear, you’ll be overjoyed, and you’ll probably start planning your next road trip as soon as you return from this one. I’ve so far taken four different road trips Down Under and each of them was unique and memorable in its own way. 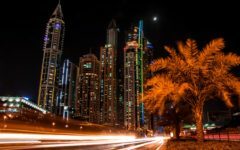 Needless to say, I also had to do a lot of prep work in terms of finding accommodation, getting my car ready and choosing what places my family and I were going to visit. Still, all that was heavily rewarded with the experience we had. So, I’m going to share brief accounts of my four trips and hope you’ll find them inspiring enough to pursue your own adventure. The first trip started in Melbourne, where we lived at the time. 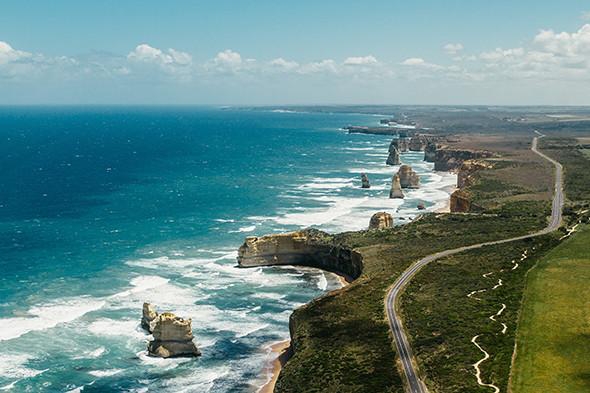 We had decided to take one of the most celebrated road trips in Australia and follow the Great Ocean Road, which is a 90-minute drive away from our starting point. There were so many wonderful things we saw on the road that it’s really hard to choose the most stunning one. However, I’m going to mention the world-famous Twelve Apostles, which is a huge limestone rock formation in the ocean. This is really a unique site and I remember being awestruck for the first time on the road trip when we left the car to admire the view. We were also lucky to see so much of the flora and fauna that is unique for Australia, such as koalas, whales, rainforests, as well as some of the most attractive beaches. The second road trip started with a minor problem, when we had to replace our front tyres due to some broken glass on the road, but I quickly found the nearest place offering new tyres here, so we were ready to go in no time. The road took us from the vicinity of Sydney over Sea Cliff Bridge, which was really special. Having followed the coastline for a few hours, we reached Hyams Beach to be knocked off our feet with how white the sand was. Of course, we used the opportunity to go surfing and we spend a very pleasant afternoon simply sunbathing and relaxing in the sun. When we continued the journey, we were treated to a sight of dolphins jumping in and out of water. 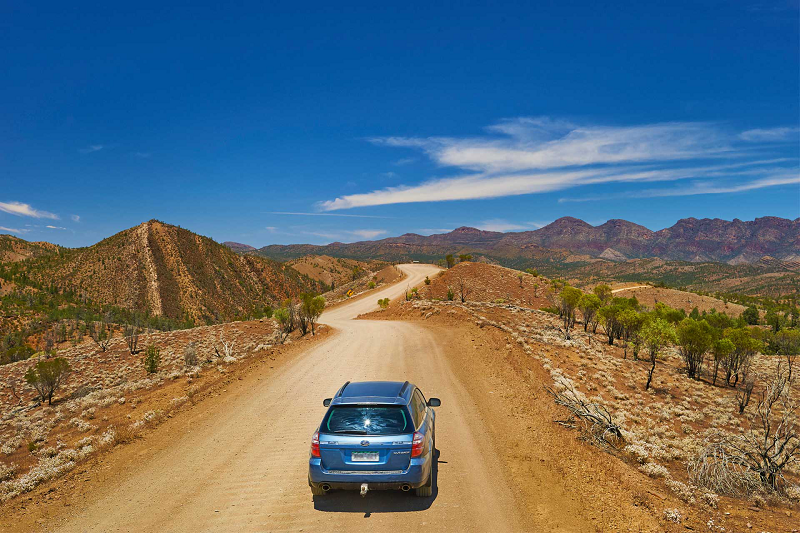 If you find yourself in Adelaide, I can recommend a road trip to the Flinders Ranges, one of the oldest mountain ranges in the world. Some five hours after we left, we reached Wilpena Pound, which looks like a giant crater in the heart of the mountain range. Since I drive a 4WD vehicle, I was able to explore various gravel roads through amazing gorges and near rocky peaks. Though this may not be everyone’s cup of tea, I have to say I thoroughly enjoyed it. What was the most unusual thing, though, was the food offered at some of the pubs in the outback. No matter how tempting it may sound, we still weren’t brave enough to try grilled kangaroo or emu, although they are considered a speciality in that part of Australia. Our latest road trip was probably the most challenging one, since we went exploring some wide-open spaces across the Nullarbor Plain. We learned that the name came from Latin and that it meat treeless. 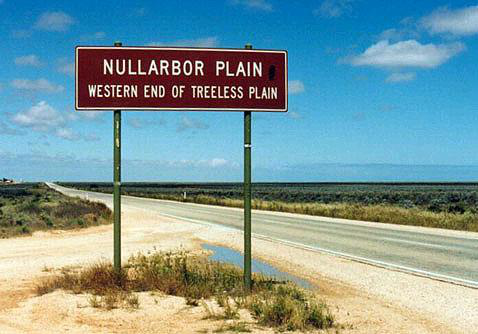 Well, I can’t think of a better name for this flat expanse. Still, it wasn’t boring as some of you may think. Actually, we visited some charming towns and restaurants along the way. Still, we were all exhausted four days later when we reached our destination, Adelaide. So, if these short accounts of my road trips across Australia have encouraged you to plan your own, I’d like to wish you a safe trip and loads of fun. Also, don’t forget to plan your trip carefully, keep your car in perfect condition and don’t despair if something goes wrong. Instead, try to make the most of this unique experience and the time you will spend with your loved ones.